Ventilation manufacturer EnviroVent has been shortlisted for this year’s Chartered Institution of Building Services Engineers’ (CIBSE) Yorkshire Region Manufacturers’ Award. The nomination is for the company’s myenvironment app for the energiSava 200 mechanical ventilation with heat recovery (MVHR) unit. 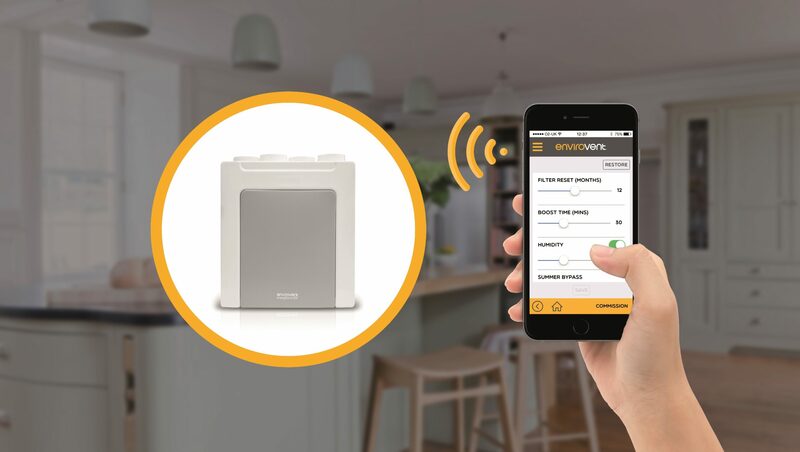 The app is available on both Android and iOS, and provides homeowners a quick and simple way of adjusting their ventilation systems from their smart devices, as well as the option to receive filter change notifications. The app’s user-friendly interface and simple installation set-up are part of the reason for its award nomination. User guides and technical documents can all be accessed through the app, and homeowners can also provide feedback and future product suggestions to EnvironVent via the app. “We are really excited to be shortlisted in the prestigious CIBSE Manufacturers’ award category,” explains Andy Makin, managing director at EnviroVent. Winners of the the CIBSE Yorkshire Awards will be announced on 10 November 2017 at an event at the Royal Armouries in Leeds.